This tuba is a fantastic compact instrument with 4 front facing valves perfect for wind bands, orchestras and concert bands alike. This isn't a common instrument in the UK, with a forward facing action being more widely used in America and on the Continent. 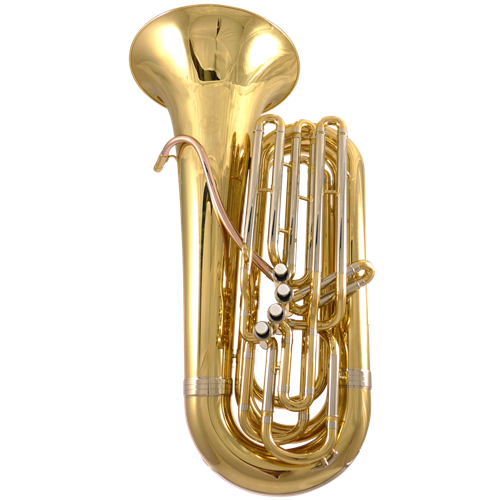 The JP179B is also a wonderful tuba for more experienced players looking for a lightweight instrument for marching bands. Front action valves, meaning the tuba will fit in and blend well with the trombone section of any band/ensemble. Lightweight, compact design for comfort. Despite its smaller form factor it still performs well in line with other much more expensive (and larger) models. Fourth valve slightly lower to allow for the smaller little finger. Thumb ring for comfort when holding the instrument both sat down and marching. Carriage rings for marching.